Whether you are in need of Cosmetic Skin Care or Medical Care, we are here for you when you need us most. Our team will blend the latest advances in skin care and utilize the wisdom and experience of medicine in order to deliver the best quality care to each individual who enlists our services. Our team can help you achieve clear, even, and smooth skin. Obtain the youthful glow that you deserve. Dr. Amir Larian is a graduate of the UC San Diego School of Medicine. He subsequently completed his internship at UCSD, going on to a research fellowship and Dermatology residency at the Mount Sinai School of Medicine in New York City, where he also served as Chief Resident. A diplomat of the American Board of Dermatology and a Fellow of the American Academy of Dermatology, Dr. Larian offers complete Medical, Surgical and Cosmetic Dermatology Services. Dr. Lisa Benest received her medical degree at UC Irvine, completing her internship at UCLA and residency at New York Medical College, where she served as Chief Resident. A diplomat of the American Board of Dermatology and a Fellow of the American Academy of Dermatology, Dr. Benest has been in private practice for over 15 years. She specializes in Medical and Cosmetic Dermatology, as well as Skin Cancer Surgery. Dr. Benest is known for her holistic and nutritional approach to medicine, as well as her friendly and personal care. Dr. Larian's philosophy is simple - "Help patients achieve healthy, beautiful skin in a professional environment, and provide them with the experience and expertise that we would want for ourselves and our families." Dr. Yuval Bibi earned his medical degree, as well as PhD in developmental neuroscience and zinc biology, at Ben Gurion University, Israel. Subsequently, he worked as a postdoctoral research fellow at the University of Massachusetts Medical School, studying cervical cancer biology and the human papilloma virus. 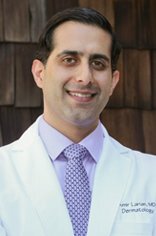 Dr. Bibi completed his residency training at the combined Boston University-Tufts University Dermatology program. Prior to joining Benest Dermatology, he worked in Boston in private practice, as well as an academic position, for over 4 years. His clinical practices include Skin Cancer Prevention and Treatment, Laser Surgery and Genital Dermatology. He is a diplomat of the American Board of Dermatology and a fellow of the American Academy of Dermatology. Dr. Bibi emphasizes providing holistic patient care, with a timely and empathetic emphasis. Outside the office, Dr. Bibi’s interests include: film acting, screenwriting, horticulture, nature hiking and fitness. Dr. Ron Birnbaum is a board-certified dermatologist and a Fellow of the American Academy of Dermatology. His focus is on the humane treatment of common and uncommon skin diseases in adults and children. He lives in the Silver Lake area of Los Angeles with his wife Lisa – a pediatrician turned TV -writer, his children Otis, Clementine, and Lucia, and their dog Bianca. He is the son of immigrants from Argentina and is bilingual in English and Spanish. 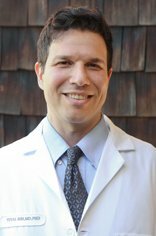 A graduate of Yale University and the University of California, San Francisco, School of Medicine, Dr. Birnbaum trained as an intern at Children’s Hospital of Philadelphia and at Harbor-UCLA Medical Center. After internship, he served as a general medical officer in the United States Navy, before completing dermatology residency training at Harbor-UCLA Medical Center, where he served as Chief Resident in his final year. 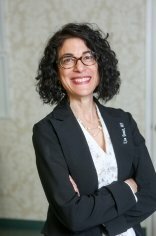 Dr. Birnbaum went on to serve as Interim Chief and Residency Director there until 2015. In addition to his work at Advanced Dermatology Center, Dr. Birnbaum currently teaches dermatology as a faculty member at Harbor-UCLA Medical Center in Torrance and at the Eisner Health Family Medicine Center at California Hospital in downtown Los Angeles.